The area around Kirkenes was a common Norwegian–Russian district until 1826, when the present border was settled. The original name of the peninsula was Piselvnes (Pis River headland), but was changed to Kirkenes (church headland) when the Kirkenes Church was built in 1862. The Church Kirkenes i named after. Only a few families lived in Kirkenes in 1906 when iron ore was discovered nearby. 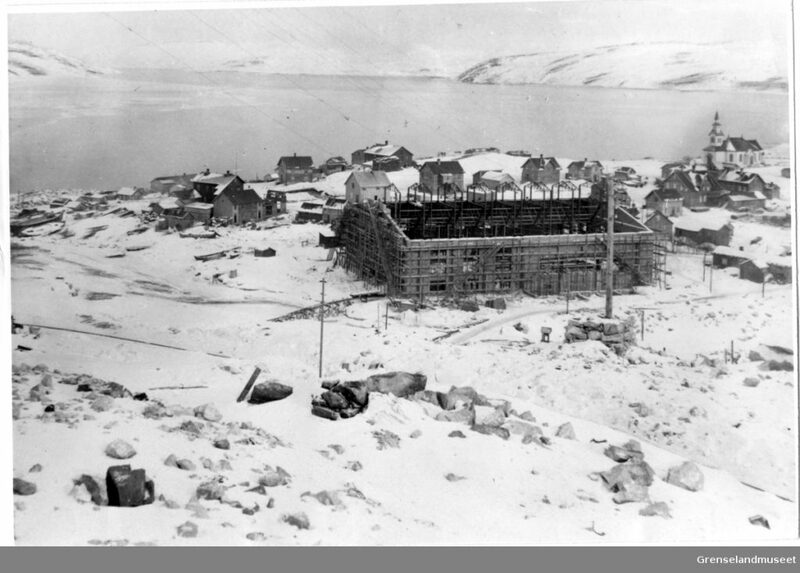 This led to the establishment of the mining company A/S Sydvaranger, and within a few years the population had swelled to 8,000. People moved here from afar to work, and in addition to Norwegian and Sami, Finnish, Russian, Swedish, English and German were widely spoken. Kirkenes was a major supplier of raw materials for artillery during World War I. In 1908, Kirkenes became the northern turning point of Hurtigruten ships, which have transported visitors and freight to Kirkenes ever since. There were major changes in the region in the inter-war period following the Finnish independence and the establishment of the Soviet Union. The most notable events in Kirkenes were the general strike and political riots in 1928. More than 1,300 refugees crossed the Pasvik River to Kirkenes during the Finnish – Soviet Winter War in December 1939. 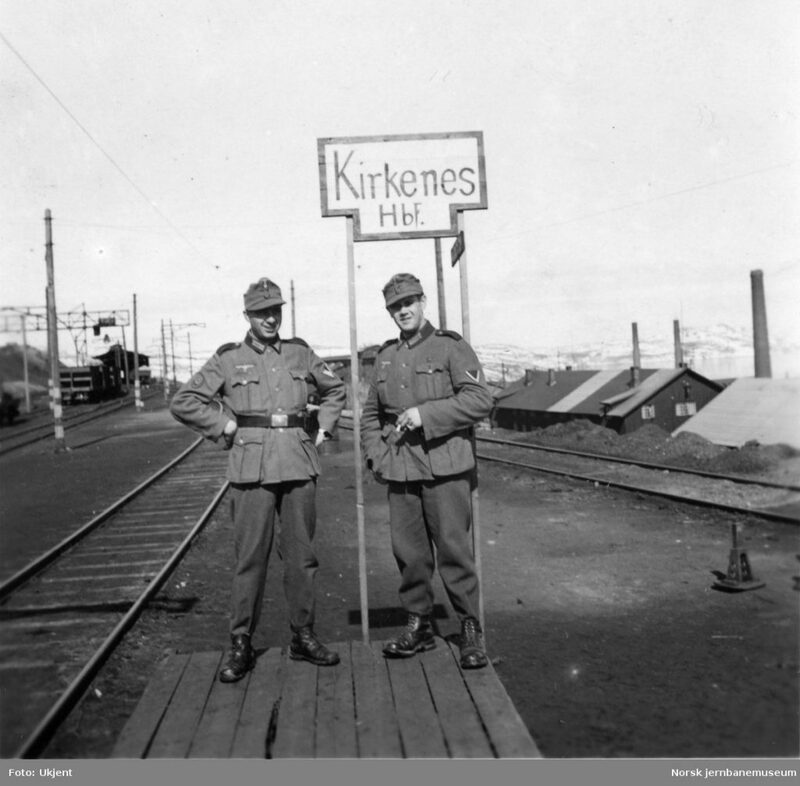 Less than a year later, in July 1940, Kirkenes was occupied by German forces, and up to 100,000 troops were based here. In the summer of 1941, North-Eastern Norway became the staging area for the German assault on the Soviet Union, with the nearby port city of Murmansk as the main target. German soldiers in Kirkenes during World War II. As a result, tiny Kirkenes was one of the most bombed places in Europe during World War II with at least 320 devastating Soviet raids. Historians claim only Malta suffered more damage from bombing raids. The worst attack took place on 4 July 1944 when 140 resident buildings were left in flames following a comprehensive Soviet air assault. In autumn 1944, the German army finally withdrew from the Murmansk front. Finland pulled out of its alliance with Germany, and it became impossible to hold Finnmark. The Germans retreated and burned most of what remained of the buildings in the area. On 25 October 1944, Kirkenes was the first town in Norway to be liberated by the Red Army, and the soldiers were given a heroes’ welcome by the local population. During the bombing raids people sought safety in Andersgrotta, an air-raid shelter in the centre of town, which is now a small museum. Close to the town there is a memorial to 11 freedom fighters, who helped the partisans collect information about the German occupation. At one point, more than 7,000 Soviet prisoners of war were held in harsh conditions in more than 80 prisons and POW camps in and around Kirkenes. Only 13 houses in Kirkenes survived the war. Not even the church that gave rise to the town’s name survived. It stood almost until the end of the war, but in 1944 it was subjected to heavy bombing and burned to the ground. However, the original church spire survived, and was incorporated into the replacement church, a traditional long plan design in the form of a basilica, which was finally completed in 1959. Kirkenes was rebuilt after the war with help of the Marshall Plan from the United States. As part of the rebuilding, Kirkenes became the first town in the Northern Norway to get sealed streets. After a strong post-war period, the iron market fell in the 1990s and the Sydvaranger mining company was shut down in 1996, which led to major changes in Kirkenes. In 1993, the Kirkenes Declaration was signed, and the Barents Euro-Arctic Region was formalized as collaboration between the northernmost parts of Finland, Sweden, Norway and Northwest Russia. The core idea is “people-to-people collaboration” across the borders, particularly with Russia after the end of the Cold War. As home to 70 different nationalities and ethnic groups, Kirkenes is considered as the Barents Region in miniature. During the Cold War, the border near Kirkenes was one just two borders between the North Atlantic Treaty Organisation (NATO) and the Soviet Union (the other was in Turkey), while for much of the 1990s it was the only border between Russia and NATO. The Kirkenes airport at Høybuktmoen was built as a military air station by the Luftwaffe during the war. Civilian services were introduced after the war, but abandoned in 1948. The airport reopened in 1963 with a new terminal and an extended runway. While most flights are from Oslo, Tromsø and regional destinations, Kirkenes has international charter flights to bring tourists for the Hurtigruten cruises. Although Kirkenes has a fascinating history, it remained a village right up until 1998 when it finally gained town status.